At Berkshire Hathaway HomeServices Towne Realty, we value our Military and to show how much we appreciate your bravery and continued sacrifices, we have developed an exclusive program designed to save you up to thousands on your next real estate transaction. How much of a savings can I receive? Dependent upon certain criteria, a Military Active Duty or Retired Veteran can save up to $1,575.00. Of course , our REALTORS® seek to negotiate excellent benefits for you from the start, but an opportunity for additional benefits cannot be beat. 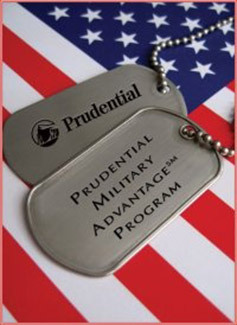 What is the qualifying criteria for the Military Advantage Program? How do I get into the Military Advantage Program? Contact Rebecca Keeney, REALTOR® at Berkshire Hathaway HomeServices Towne Realty via email or direct via her mobile. She would be delighted to explain how the program works in its entirety. You can also complete my contact form. Click here. And lastly, provide the purchaser of your property with a Home Warranty Plan (Sellers). this is also of great benefit to you, the Seller. We work closely with Home Warranty Companies that offer a program whereby when you purchase a home warranty plan that is given as a "Seller Concession" to the Buyer who purchases your property - you, in turn, are covered for the duration that you market your property. Upon settlement, the Buyer's Home Warranty Plan will become effective and they will benefit for the next 365 days. Please feel free to ask Rebecca Keeney, REALTOR®, for further details on how this benefits you, the Seller. Berkshire Hathaway HomeServices Towne Realty's exclusive Military AdvantageSM Program marketing to prospective Buyers and also the Seller concession of providing a Home Warranty Plan to prospective Buyers will not only increase your property's exposure but will create a more appealing overall presentation that will bring about increased attention to your property listing. It will show Buyers that your REALTOR® is marketing your property effectively and aggressively and that it will not sit on the market and become stagnant. This may bring you more activity possibly resulting in a faster sale at a higher value than if it were to sit on the market for a longer period of time. Berkshire Hathaway HomeServices Towne Realty aggressively markets each of their products in print, magazine, via flyers and postcards and especially via the internet - where the majority of prospective Buyers go to begin their homebuying search. These advertisements are designed to target specifically to our local military. 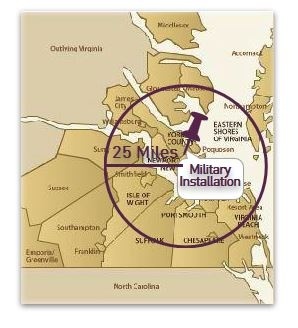 Our Hampton Roads communities are flooded with a strong military presence and when you utilize such a fantastic program, you attract many more buyers. As the program gains momentum, word of mouth will also be our strongest asset. We are already one of the top brokerages and by virtue of that alone, many of our programs are widely known. With this program, a consumer credit is given to help lessen the burden of having to provide any Seller concessions should you find yourself in a situation of having to negotiate this to finalize a contract. Again, Rebecca Keeney, REALTOR®, strives to ensure her clientele receive the best possible outcome, however, should you choose to utilize this program, below are the consumer credits based on the sales price. $175. * on a final closed sales price of up to $200,000. $675. * on a final closed sales price between $200,000 to $400,000. $1,175. * on a final closed sales price of $400,000 and above. *applied to eligible settlement fees and/or pre-paids. Of course, Rebecca Keeney's goal as a REALTOR® is to provide you, the Buyer, with the maximum benefits possible when purchasing your next home. She has, in the past, negotiated for Buyers to receive enough Seller concessions that not were their settlement fees paid, but they also received multiple car payments toward their auto loan out of the excess concessions, as well as reduced credit card balances. Unfortunately, this is not always the case and there are some properties that are in such high demand that often times there are multiple bids in place. Nevertheless, Rebecca Keeney's goal is to deliver the best possible outcome for her clientele. Berkshire Hathaway HomeServices Towne Realty’s exclusive Military AdvantageSM Program is designed to maximize the benefits you can receive when buying or selling a home.Again, please contact Rebecca Keeney for a consultation on how this program can benefit you. What amount of credit can I receive? $575* on a purchase price of up to $200,000. $1,075. * on a purchase price of between $200,000. to $400,000. $1575. * on a purchase price of $400,000. and above. *applied to eligible settlement fees, pre-paids, or other Buyer existing consumer debt (applicable to VA (Veteran Affairs) loans only).